Real Food Daily: Gluten Free; Celiac Disease or Gluten Intolerance? “Gluten Free” is the new buzzword of the day! Fortunately, it has brought much needed awareness to the subject of gluten intolerance and Celiac Disease. Gluten is a protein found in wheat, rye, barley and unfortunately some oats. Okay, so you’re asking, what the heck is gluten? Gluten is what makes bread fluffy, soups thick, and baked goods soft and chewy. One of the greatest blessings in my life was eliminating gluten from my diet. Up until that point, I struggled with extreme abdominal discomfort, lethargy, bloating, and a few extra pounds to boot! This was extremely frustrating because I’ve been a health and wellness enthusiast for many years. I mean seriously, I was working out like crazy and eating healthy food, yet despite my efforts I never felt quite right. Well, back to my original thought. The reason I say it’s a blessing is because Celiac disease and gluten intolerance are easily treatable by completely eliminating gluten from your diet. I must admit, initially this was difficult; but the good news is that every since I eliminated gluten from my diet, the changes I’ve experienced have been nothing short of remarkable. First, I dropped a full size without even trying, second, I’m not constantly bloated and tired. Best of all, I have more energy than ever! Many of my friends have expressed a genuine curiosity about gluten intolerance and this inspired me to open up and share more about this topic. Also, I want to point out that there is a difference between Celiac Disease, wheat allergy, and gluten intolerance. If images of self-deprivation are filling your mind right now, stop! The best part about a gluten-free diet is that you don’t have to feel deprived because giving up gluten opens the door to so many other amazing foods. As I’ve said on many occasions before, I think diet is a four letter word! More good news; the heighted awareness surrounding Celiac disease has inspired many more gluten-free products which are readily available in most grocery stores. A gluten-free diet is not a life sentence to food boredom! Quite the contrary, I’ve discovered there is a world of delicious and healthy foods out there that are gluten-free. Deprivation is for the birds; I love food (good food!) Okay, enough on that tangent! I’ll move on to my point. First, I’ll start with Celiac disease. Here’s the nutshell version; Celiac disease can be defined as a permanent intolerance to wheat protein and related alcohol-soluble proteins found in rye and barley. Celiac disease occurs in genetically susceptible individuals who eat these proteins, leading to an autoimmune disease, where the body’s immune system starts attacking normal tissue. This condition continues as long as these food products are in the diet. The resulting inflammation of the small intestine results in the lack of assimilation of critical vitamins and minerals. Next in line is wheat allergy; wheat allergy is not the same as Celiac Disease. 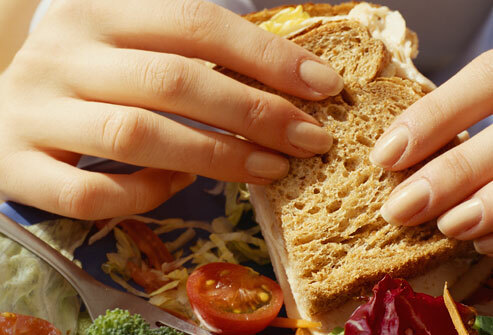 Other problems occur in individuals with wheat allergy when they eat wheat and related proteins. Wheat allergy is one of the top eight food allergies in the United States. Allergic reactions after eating wheat may include reactions in the skin, mouth, lungs, and more often that not the GI tract. Symptoms of wheat allergy can include rash, wheezing, lip swelling, abdominal pain and diarrhea. Now we have the next runner up, gluten intolerance! It is possible to be non-Celiac and still experience intolerance to gluten. Common symptoms with wheat or gluten intolerance may include gassiness, abdominal pain, abdominal distension, and diarrhea. These symptoms are usually short-lived (although annoying) do not necessarily cause permanent damage. If you suspect you could be afflicted with any of the above, it is important to identify whether you have Celiac Disease, versus wheat allergy or gluten intolerance. Celiac disease, wheat allergy and gluten-intolerance are treated similarly, in that individuals with these conditions must remove wheat from their diet. It is important to note, however, that there is a difference between these three medical problems. Celiac disease is an autoimmune condition, where the body’s immune system starts attacking normal tissue, such as intestinal tissue, in response to eating gluten. While Celiac Disease, wheat allergy, and gluten-intolerance may be treated with similar diets, they are not the same conditions. It is very important to know which condition you may have. The person with Celiac Disease needs to monitor their diet carefully to avoid nutritional deficiencies and other autoimmune diseases. On the other hand, the symptoms from food allergies and intolerances resolve when the offending foods are removed from the diet. Are they similar? Why there are many foods nowadays content gluten or celiac? I thought they are part of the food I mean are they harmful now? Why cook if they will harm us lol! Hi Mew! I definitely understand your concern. Everyone reacts to gluten differently; if you feel unwell after eating wheat or grain products, you may be intolerant to gluten. On the other hand, there is no need to shell out extra dough to get gluten-free foods without a diagnosis of celiac disease or gluten intolerance.